This was a fair and balanced report. For those of you who've been asking, I'll start posting responses to the Mayor later today. Wow Acts17 is getting known around the world!! I think some good will come out of all of this. That mayor is ignorant though! I think the mayor is into the corruption also.Holy Crap,did he even see the THREE videos of 2 hrs each at all?And to make such crappy statements. Now you are not allowed to have a FREE CONVERSATION with people in a festival? I would talk about Israel and Hamas,etc.I have good arguments.This is an argument I gave on the Spanish-language forum. The Muslims say the Israelis want to throw out the Muslims in the West Bank.Israel already left GAZA in 2006. The REASON why the different Israeli governments have put in 400,000 JEWS there is NOT because they are RELIGIOUS and believe God gave them the land(if they did,they would NOT have left GAZA). It's that Israel has almost GIVEN UP that peace will ever come.So they want to have Jews in at least SOME of the MOUNTAINOUS AREAS that constitute Israel's natural borders. "Israel's Critical Needs for a Viable Peace"
You have a place in my heart and prayers. I just have a huge grin on my face right now. Praise God for your boldness, brothers! I will continue to lift you guys up in prayer! The Mayor is well...an idiot... but let me not go there lol Keep preaching the Word!!!!!!!!! The bit about "Free Speech Zone" was kind of funny. I mean - were you not on the street/public area? David, have you ever entered a response to the letter from the Dearborn Ministerial Association from last year? Free Speech zone? FREE SPEECH ZONE? WHAT EXACTLY IS A FREE SPEECH ZONE in the UNITED STATES OF AMERICA? Maybe the Mayor can set up a "FREE STONING ZONE" to take care of the prostitution problem in Dearborn MI. Free Speach Zone I know I am a Canadian but is not all of United States a free speach zone? 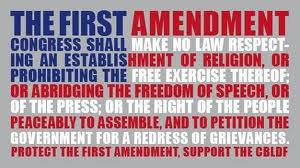 And by the way on Sunday when people outside the festival area and surrounded by a swat team for passing out gospels I guess there are no free speach zones in Dearborn. I emailed the mayor of Dearborne and this was his response to me. We'll be praying for you. God bless you guys! We'll be praying for you brothers. You're doing the Lord's command and God bless. So....answering questions is violating free speech? WOW, that is shocking! What do you think the two anchorettes mean by "wow" at the end about there being "only two members in this whole group"? I mean, that's supposed to mean you must be wrong or something? That seemed pretty mindless. One wonders if the stupid mayor really believes what he says. For example, he doesn't even seem to realize that only Nageen was cited for refusing to obey an order--which was obviously related to her getting upset when the officer tried to take her video camera. He says all four were told to "break it up" and refused and that this is why they were cited for refusal to obey an order. It's like he hasn't even read enough blogs to have the most basic facts down. Is the "dangerous storm coming" that he's talking about supposed to be a metaphor for mob violence, or does he mean a real storm? This guy is so clueless. How the deuce can your "motives" be "against the spirit of the Constitution"? I mean, that's just meaningless gibberish. Even if you _did_ have "stirring negative emotions against Muslims" as your motive, how is this "against the Constitution"? That's almost scary. It's like if I eat pork pies on a street corner with anti-Muslim attitudes and motives, this is somehow in spirit unconstitutional, so I can be arrested? Scary guy, really, in his own bizarre, dhimmi fashion. I saw your 2 blogs today.They are good.I didn't know you were from Brazil.It is RARE to find information critical of Islam in PORTUGUESE. I can read it but I speak it and write it so-so. It is astonishing how similar the 2 languages are.The fact is:one person can WRITE in Spanish and another WRITE a reply in PORTUGUESE and mutual understanding is about 95%-99%. Check out the link and the ongoing debate.I write for a blog called "avraidire.eu" by ANTOINE MARTIN,a FRENCH Christian and I almost ALWAYS LINK (at the end of the article) to other websites,videos,promoting this person or that to spread information. In the last article in English at the bottom I gave info about and links to GLORTHAC(he is in youtube)who is very smart,I am impressed.I will also have to link to the 17-year old (Kabane) who debated SAMI ZAATARI(debate in youtube).Very intelligent debater. I will in my next article in French add a link to your blogs so those who know French and Portuguese can read them. Also if you want to write articles in English on Islam (at your pace,now and then every few months,or often,many times)you can just ask ANTOINE MARTIN,writing a comment at the bottom of any article saying you would like to be a contributor:Hugh Watt and I have already written alot for that blog.He said so himself. It's like if I eat pork pies on a street corner with anti-Muslim attitudes and motives, this is somehow in spirit unconstitutional, so I can be arrested? But you're right, Lydia, about the comments of the two reporters at the end. At best, it is because they didn't have anything else to say and needed to fill up another 8 seconds of air time with idle chatter. At worst, they implied that David and Nabeel were peons. Call me skeptical, but I wouldn't be surprised if a followup story after the arraignment isn't so "fair and balanced." Curious they didn't interview their attorneys for the news spot. It's good to see you are milking this for all it's worth. None of the local evangelists in Dearborn who regularly do biblical evangelism support the lies you are spreading, but hey, at least you can milk this for some more money for your "ministry," aye? Remember, David, you may be able to mislead the people on here with your selective reporting and editing, but God knows the truth, and you're going to be held accountable for lying just to make a name for yourself. You're nothing more than a modern day pharisee. You wouldn't know persecution if it ran you over on the road. But, if it did, I'm sure you'd have someone videotaping it so you could raise funds off of it. Maybe you should just be honest and be a corrupt televangelist? You could raise more funds that way and make a bigger name for yourself. Do you claim to be a Christian? If so, can you provide some evidence (any at all) that we've ever made a dime from our outreaches? True, people often help with some of the major expenditures (such as the costs of plane tickets or hotel rooms), but we always, always, always lose money. Now if you have evidence that we're making money, could you provide it? And if you can't, do you really think it's okay to falsely accuse people? Would you like it if I were to attribute false motives to you? For instance, if I were to say that you're only defending Dearborn because you want to sleep with the mayor, would you not find such a response childish and absurd? "What do you think the two anchorettes mean by "wow" at the end about there being "only two members in this whole group"? I mean, that's supposed to mean you must be wrong or something? That seemed pretty mindless." That caught my attention too. I think there are at least three possible ways to interpret those comments. 1. They implied that this is comparable to some weird religious sect that has only two members (which would probably indicate that the sect in question is not worth takin seriously). 2. The implication may have been that "the presence of just two people causing such a reaction among the Muslim audience shows that the audience was clearly overreacting". 3. Perhaps the message was that "this group is clearly having an impact that goes beyond its size, given how much we have been hearing about them lately". Gather ALL the information about the event first and then make a judgement.First of all,Nabeel and David were NOT handing out literature. 2.They were having a conversation with those who WANTED and AGREED to have one about Christianity. 4.They recorded it ALL and after 3 WEEKS their ILLEGALY seized 3 cameras have not been returned,nor the videos(that sounds VERY suspicious to me). Check out what I stated to see if it's false.If it were an ATHEIST or a MUSLIM who went through all that,would you have the same opinion? Probably not,or maybe yes,So verify,and reverify. I think David and Nabeel have done ALOT more than what God expected(debates of high quality,a great blog).If they decide to go on a VACATION of 6 months or just stop activity at the blog for that time they certainly deserve the rest.Very well deserved. 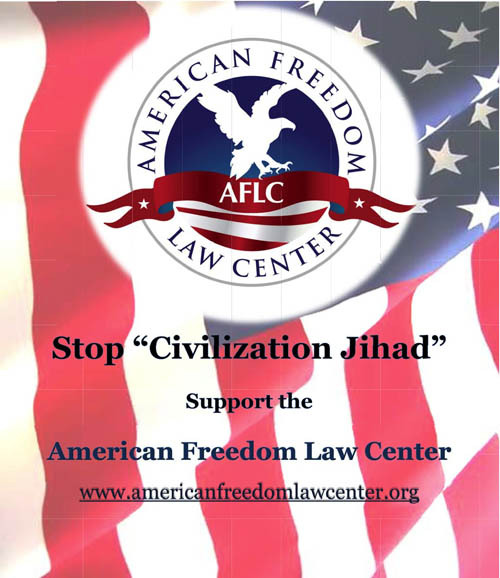 In the meantime we can go to jihadwatch and faithfreedom and comment there. No offence to Josh McDowell but giving out free signed copies of a novel is not the same thing as street preaching or handing out the Gospel of John. To equate them is to cheapen the Gospel. Your video showed no one preaching at the festival so it lends credence to the claim that preaching was not allowed there. It’s hard to take someone seriously when they don’t take the time to do basic research. Acts 17 did not sue the city of Dearborn last year. Either you are trying to mislead your audience or you are grossly negligent to the point of being lazy. 3) the women shown at the end had just assaulted someone. She does not now have the right to be anonymous in her crime. 3) For you to bring up the troubles other groups of Christians have had in Dearborn only helps Acts 17's cause. The tone of your argument makes it seem that you are young and inexperienced but you need to realize that putting out this kind of shoddy work will only hurt your cause and make your opponents look good. I am from Brazil, too! Please visit god and country, I posted the videos and the info about what happened in Dearborn. You guys ARE in my prayers!!!!!!! Free Speech Zone?!? That is one of the craziest things I have heard. I was under the distinct impression that the whole of the USA is a free speech zone. The fact that they won't return the cameras is quite telling. It amazes me how so many so called "Christians" attack Acts 17 with a presumption of GUILT without any evidence whatsoever. But my prayers are for you guys here. David and the other brothers and sisters are following what Jesus did do..the Biblical Jesus! What we are seeing here is the reaction of many Christians that have been fed a diet of a watered down ,compromised feel good Gospel. The Gosple by nature is OFFENSIVE! It is the Righteousness of God revealed to a rebellious world! Jesus warned that when light comes into the world men will flee because they love darkness. And when the true Gosple is preached it will be always provocative! Guys Jesus wasnt cruified because he was a nice, meek and gentle man....!! Able was attacked and murdered by Cain why?, because Able was a true witness and Cain was false and hated Able because of it. Sadly too many "Wonder Bunnies" think they do God service but in fact are really demonstrating the spirit of of Cain attacking those who do right. So until all the evidence on the table, check your heart before you accuse another Christian,because Brothers and Sisters that is the sin of presumption! Again one has to repeat the same things. 1.Look,it is FORBIDDEN to hand out Christian literature there unless you do it from a designated table. And that is what was going on in the first video,activity at a table or booth. 2.LAST YEAR Nabeel and David and Mary Jo(the camerawoman) were NOT handing out literature. 3.They went to a Muslim booth that said "Got questions,ask".They GOT PERMISSION from the Muslim to FILM. 4.It was the SECURITY ,for no reason,that began attacking Nabeel,David and Mary Jo. Is that so hard to understand?And now THOSE ATTACKED are the GUILTY ONES in your opinion? "None of the local evangelists in Dearborn who regularly do biblical evangelism support the lies you are spreading"
Are you a local evangelist in Dearborn? If not, which of the local evangelists in Dearborn do you speak on behalf of? Your motives violated the spirit of the Constitution?? Even if it were true—which is the mayor's opinion, not mine—what kind of law would that break? Which is more illegal, having "bad" motives or arresting people for peacefully talking about their religion in a public place? Praying for you, my friends. What? You think that "free speech zones" are something new? Wow. Us liberal moonbats have been going on about free speech zones for years. George W. Bush's handlers regularly pushed protesters into "free speech zones" during visits so that the president could remain in a bubble where he didn't have to be confronted with his declining popularity and anger over his wars. Seriously, David, you need to see if you can take a First Amendment Law class over at Fordham's law school. You might find it super-enlightening (if it's not totally over your head). I have been watching the events on the video. Sooner or later, your freedom in the land of free will eventually be trimmed. Your government will create some kind of law to forbid preaching to muslims. It really seems inevitable. How can your government keep silence on rights of evangelizing in muslim land and they can do that in your country? And now, you get arrested for doing this in your own back yard.. I wonder why Americans voted for Obama.You people are ignorant of the mulsim's agenda or their behavior. Sooner of later, you will feel the double standards for muslims and non muslims as how we are now feeling it in Malaysia. You guys are like the last line of defence in the world. Do not stop what you are doing and I pray for the victory for Christ and may God give the strength to you guys on 7/12. We will never have access to share the "truth," if we are, "Confrotational, combative, hostile, argumentative, arrogant, prideful, etc....all those human attributes that are displeasing to the LORD. "Wow. Us liberal moonbats have been going on about free speech zones for years"
They were wrong then, and they are still wrong now. What I find interesting is that you are self-describing as a "liberal". You have also told us you recently converted to Muhammad's theo-political system known as Islam. I wasn't aware that Sharia and Political Liberalism were possible to reconcile without being a walking contradiction and an extreme hypocrite. Of course, lest I impugn you for views that you do not hold, perhaps you can tell exactly which portions of Sharia, as commanded by the Quran and Sunnah you reject. Killing of apostates perhaps? Denial of equal rights for minorities groups (i.e. dhimmis)? Lack of gender equality before the law? Killing of adulterers and homosexuals maybe? Good luck reconciling Sharia with your claimed liberal political views. "Their motives, in my mind, violate the spirit of the Constitution." Elaine, I watched all four of those videos you posted links to here. The arguments in the videos are weak at best. Many of the arguments are transparently invalid. The spelling of the text in the videos is frequently poor. I suspect a stealth Muslim made those videos. 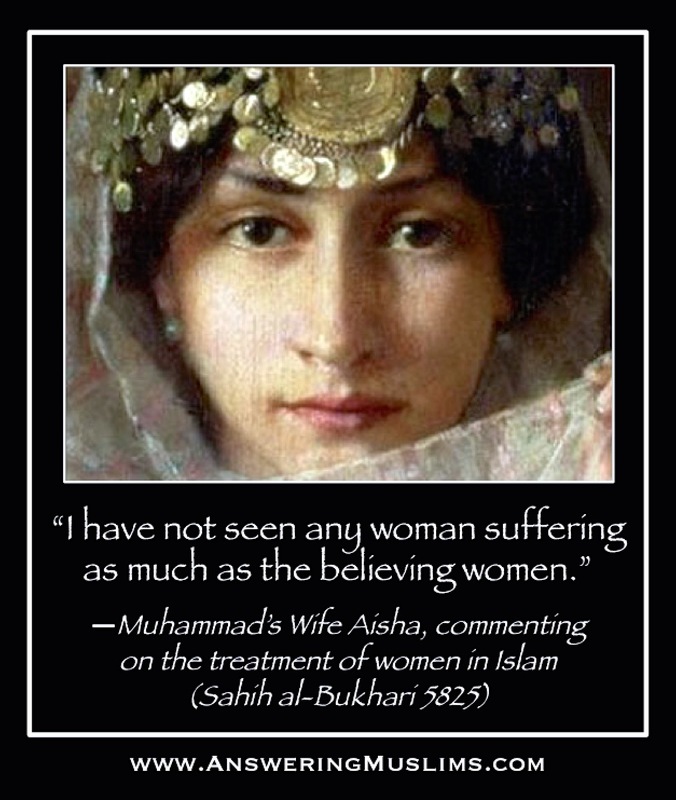 I also suspect that most of the "Christian females" posting on this website to criticize Acts17's visits to the Dearborn festival are in fact Muslim males playing taqiyya-deception games. But even if we set aside what seems to be the appearance of taquiyya here -- the use of deception sanctioned in core Islamic holy texts -- nothing you show in the four videos you linked to, Elaine, and little or nothing of which you accuse Acts17, is illegal in the U.S. That you and one or two other "Christians" supporting your attacks on Acts17 have so little sympathy for and understanding for the First Amendment is another strong indication that you are in fact Muslims. Muslims -- not all, but many -- are notorious around the globe for their contempt for freedom of speech. 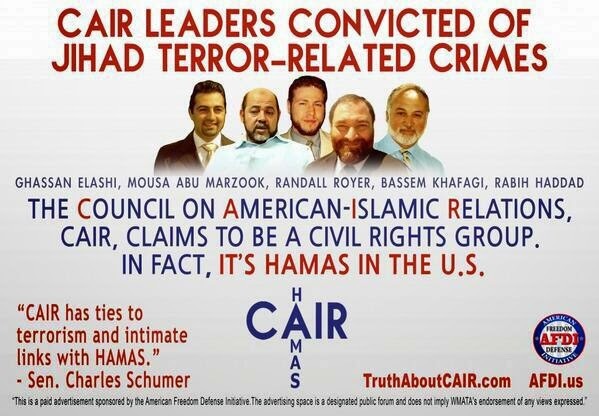 Thus the Muslim-majority nations all signed the "Cairo Declaration of Human Rights in Islam," which says that Sharia law's restrictions veto any conflicting rights specified in the U.N. Declaration of Human Rights.